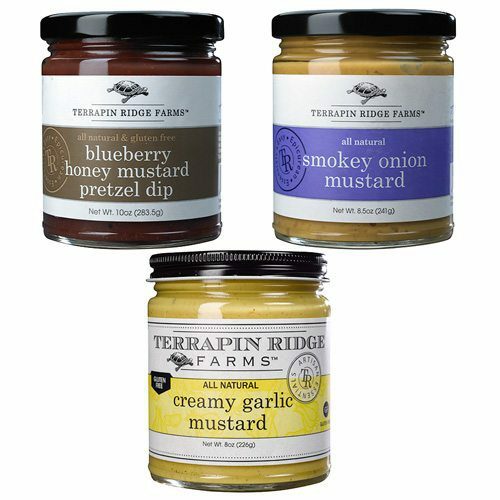 This Gourmet Mustard Gift Set from Terrapin Ridge Farms is the perfect gift for the mustard lover. 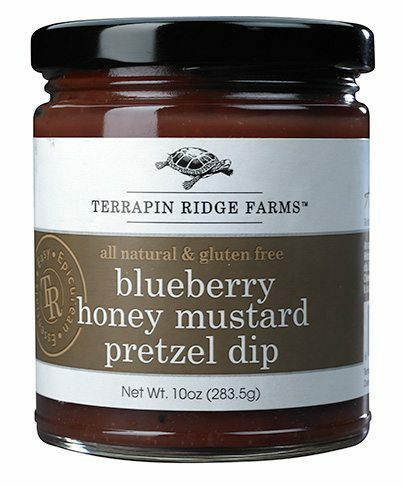 A trio of delightful mustard combinations of blueberries & clover honey; smokey crisp onion flavor; and creamy garlic mustard. 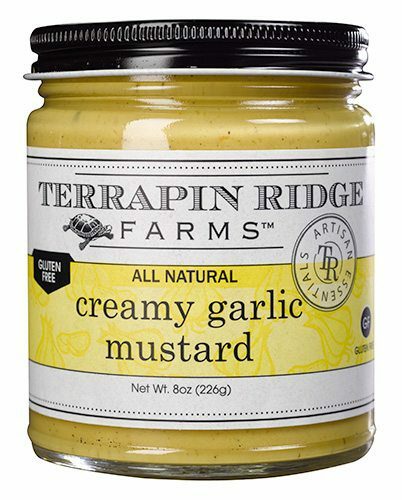 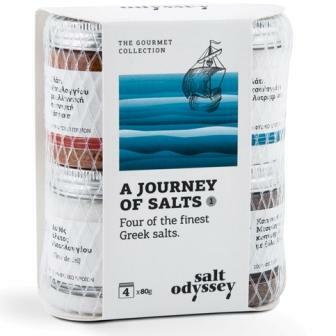 Natural smoke flavor, roasted garlic, and crisp onions create a mustard you will want to try on everything. 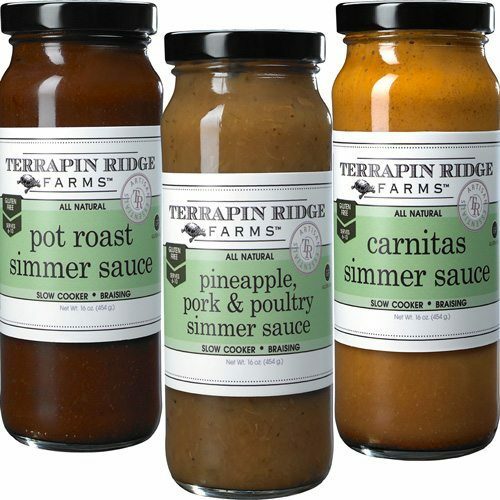 Adds a smokey taste to your chicken salad or deviled egg recipes. 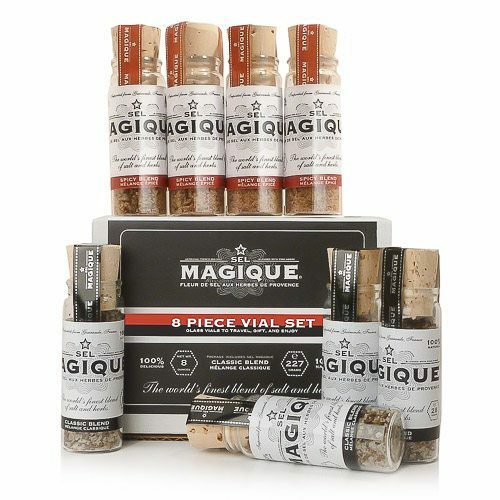 Use as a base for a glaze or dressing. 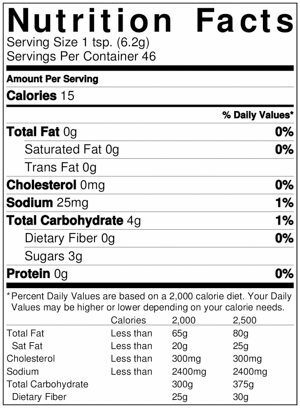 Fat-Free & Vegan. 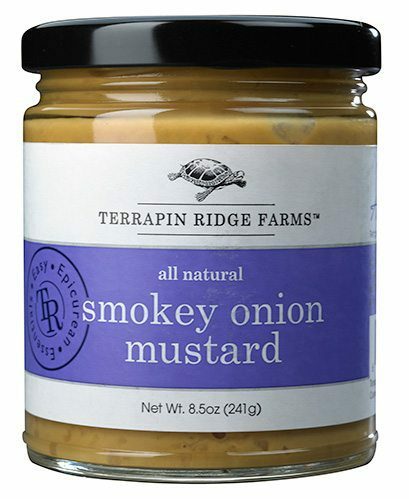 Distilled Vinegar, Water, Mustard Seed, Minced Onion, Malt Vinegar, Onion Powder, Natural Smoke Flavoring, Sugar, Salt, Roasted Garlic Powder, Spice, Oleoresin Turmeric. 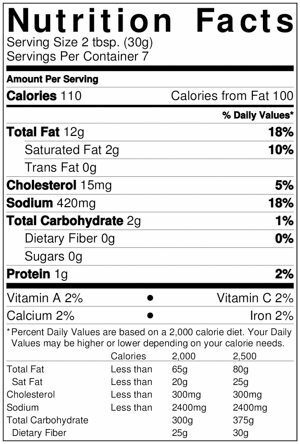 Mayonnaise (Soybean Oil, Eggs, Vinegar, Water, Salt, Sugar), Mustard (Water, Vinegar, Mustard Seed, Salt, Spice, Turmeric), Neufchatel Cheese (Milk and Cream, Skim Milk, Cheese Culture, Salt, with Carob Bean, Guar and Xanthan Gums), Garlic, Butter (Sweet Cream and Salt), Soybean Oil, Salt, Red Pepper, Spice, Worcestershire Sauce (Vinegar, Water, Molasses, Corn Syrup, Salt, Caramel Color, Garlic Power, Sugar, Spices, Tamarind), Lemon Juice, Citric Acid, Guar and Xanthan Gums.